Looking back to 2008, it now seems clear that there was a place in the industry for a small private bank, where clients would be treated with care and diligence, and where tradition, wealth protection and a client’s best interests would be paramount. This was when Banco Carregosa became a licensed bank, when, at the time, there were an endless number of reasons not to start a bank. Since then, Banco Carregosa has succeeded where other banks have failed. It is now recognised as a respectful, conservative and solid financial institution and is one of the most capitalised banks in the industry, with a core tier ratio consistently above 20 percent. Assets under services have been growing steadily, reflecting both the increase in clients as well as the average volume per client. The Portuguese economy had one of its most difficult periods of financial stability over the last 10 years. Its banking industry suffered the effects of the crises, with public debt, the absence of growth and high unemployment leading the country to ask for external support in 2011. It has been a long period of struggle, with families being affected by lower income, higher taxes and fewer job opportunities. Companies had their profits reduced, and credit was either cut off or became more expensive. Confidence in the Portuguese financial system was also at a low. In times of widespread difficulty, the priority is safety. The managers and private bankers at Banco Carregosa have a strong culture of safeguarding. They believe the most effective way to increase clients’ wealth is to protect their assets. Risk evaluation is always of concerns and no decision related to clients or the institution is taken without measuring its potential impact. Through the experience of its private bankers and asset manager teams, Banco Carregosa delivers the most suitable risk and return balance for each client, through analysis to create the best investment solutions. With that in mind the bank’s reputation is strongly based on its independence. With a small but solid group of shareholders – settled since its foundation – independence is its main asset. In fact, independent management decisions are the fastest way to integrity and therefore, for client and stakeholder confidence in the bank. One important aspect for building a reputation of independence is an open architecture approach to investments. At their discretion private bankers have a wide range of products and investment solutions available from different asset managers and other financial intermediaries. The investment team establishes guidelines and offers in-depth analysis, and private bankers work directly with clients on investment decisions. Given the high level of asset prices driven by the very low interest rate environment since the last quarter of 2013, the bank recommends an overweight position in cash and absolute return strategies, while keeping stocks and bonds underweight. 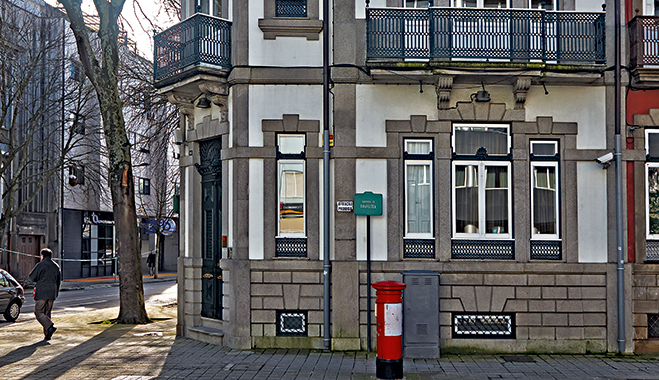 Taking advantage of the closeness to the local capital markets with tactical positions in some Portuguese stocks and bonds has also contributed to the return of the banks’ managed account portfolios. The re-rating of Portugal’s risk level has buoyed these markets, and both local bonds and stocks have greatly over-performed the broad indices. Being very active in the origination and placement of structured products has meant the bank has favoured capital guaranteed products linked to equities and equity indices. Within assets classes, although for some time the bank has been concerned about the high valuations implicit in current stock prices, it continues to see long term value propositions in some European and North American stocks, particularly in the mid cap segment. In bonds, where the bank sees little or no value within core markets, its extensive experience in the Brazilian market has given comfort to tactically add some positions over the last 12 months. As a rule the bank does not take positions in other currencies, so it continues to recommend hedging foreign currency exposure. It has stayed clear of commodities and favours real estate – particularly in the commercial real estate area. In absolute return, managers that focus on long/short strategies in core markets are preferred. Clients are advised to have balanced and diversified portfolios, however, the bank also favours holding individual positions in some recommended stocks and bonds, as opposed to holding positions in actively managed funds. Mainly dedicated to private banking, Banco Carregosa has recently developed online services, as until now it had exclusively focused on brokerage clients, through the mass-market brand GoBulling. Since December last year, GoBulling evolved into a universal financial platform and website, serving both brokerage and private banking targets. From an online brokerage platform, GoBulling became the online banking for Banco Carregosa. The bank is now better prepared for the digital transformation that is expected to in the sector over the coming years, not only to respond to growing self-directed clients’ needs, but also for increasing efficiency through automation of key processes. In the context of such a challenging environment, Banco Carregosa has also looked for new niche services, building on its long experience in capital markets. One recent new line of business was introduced in 2013 targeting energy market opportunities. To start, the bank has been admitted as general clearing member of the Iberian power derivatives market, and is offering both clearing and settlement services mainly to non-resident clients, as it is already one of the key players of the market in this segment.